I definitely go through phases when card making, do yo? Sometimes it is graphic and modern, sometimes it is shabby and vintage, and other times fun and cute. Sometimes my phases are introduced through a new stamp set or product or tool. Sometimes it is because I've seen something and just want to reproduce it. Always, no matter what phase I'm in, I still think I keep things clean and simple and still true to me. Anyway, thank you for everyone that comes for a visit, even if what you find here is what might not have originally drawn you in. 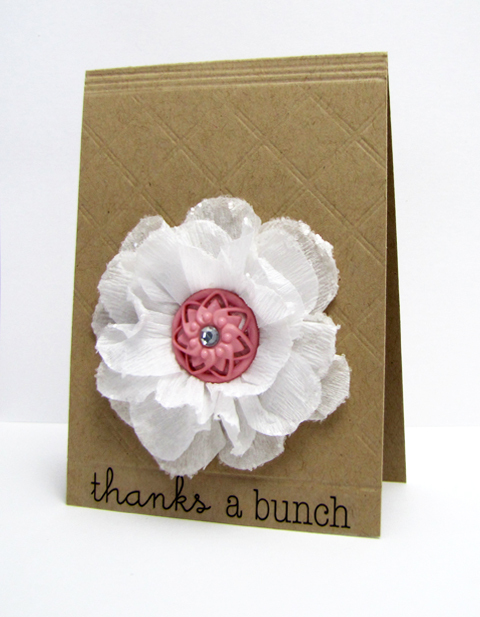 So this card I made while still in my shabby and vintage phase. And the I am loving the ink distressing tool phase. And the ooh this picture is so pretty phase. 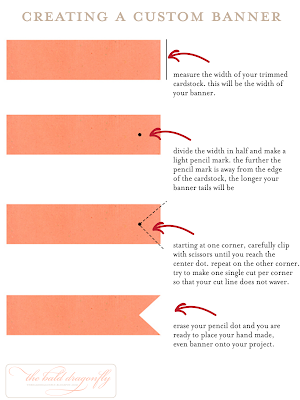 And the I just discovered how easy the lovely May Arts silk ribbon is for making big, full bows phase. And last but not least, I just got the Market Street Stamps Sweet Lace stamp in the mail the other day phase. 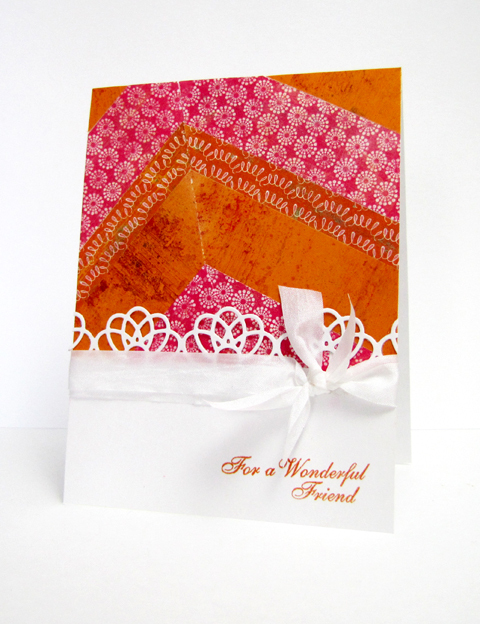 I first misted a piece of kraft card stock with Partridge in a Pear Tree Tattered Angels Glimmer Mist, then stamped the lace with white craft ink and then sprayed the cards stock once more, with a little bit lighter misting this time. 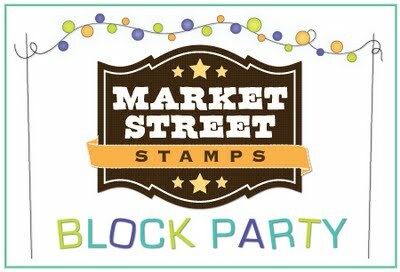 Market Street Stamps is having a Block Party, thought I'd join in on the fun! And I'll also be linking up to the Simon Says Stamp Challenge: Anything Goes too! 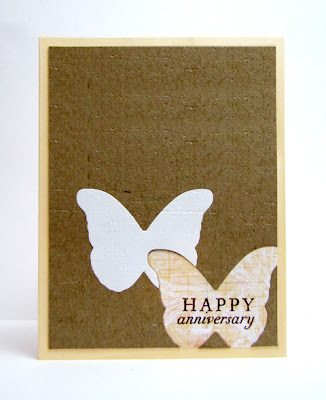 My card follows the monthly sketch over at Authentique's Blog. 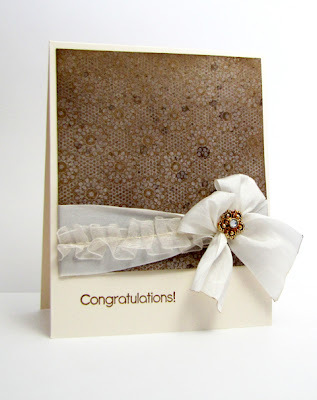 I used chicken wire as a mask to create the hexagons in the background and then added a tag and elements from the lovely Authentique's Delightful Collection as well as May Arts ribbons and fibers. May Arts teamed up with Authentique this past week! Please stop by the May Arts Blog this weekend and comment for your chance to win prizes from both amazing companies! Sometimes you've got to step back and re-access. At the time the decision came around to stay or not stay on the CAS-ual Fridays team I was really, really torn... Because I loved being on the team and because I am really, really busy. I knew my life was going to get busier with the summer approaching and two active little boys itching to go outside and play. I knew I wanted some extra time to design stamps that my crafty friends would love and be able to use over and over. I knew I wanted to give one other person the chance to shine by being on one of the best teams in blog land. I knew, in the end, it was time to step down from the CAS-ual Fridays team. 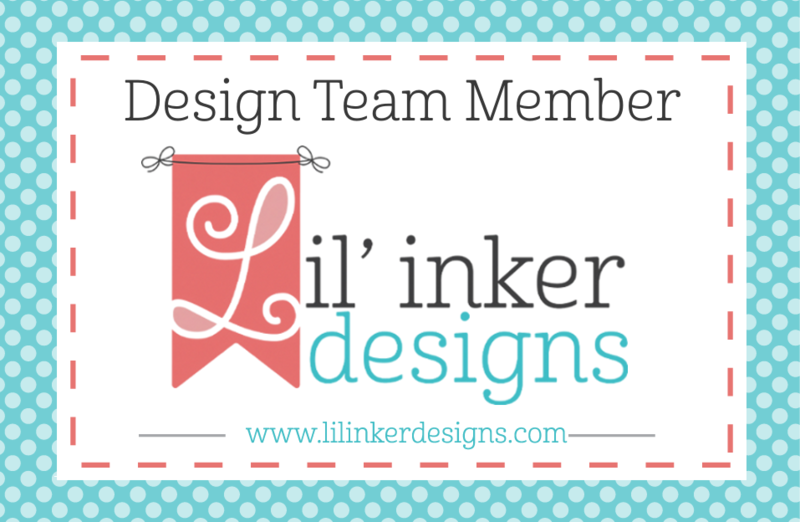 Today marks my last challenge as a design team member, for now, and I'm truly saddened. I'll miss being on this fascinating team with oodles of camaraderie and inspiration. Thank you ladies, and a special shout out to Michele, for the fun ride. You'll be seeing my name pop up as a participant in the future! 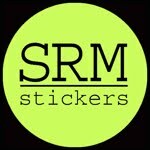 Please stop by the CAS-ual Fridays Blog for sponsorship and prize information -SRM Stickers!, challenge rules and details and super Girl Friday inspiration. We've seen our fair share of ice packs here in the Baker household in the past week or so. One hard fall off the bike (helmet on!) and one claw part of the hammer to the head. Two injuries, two boys, thank goodness! 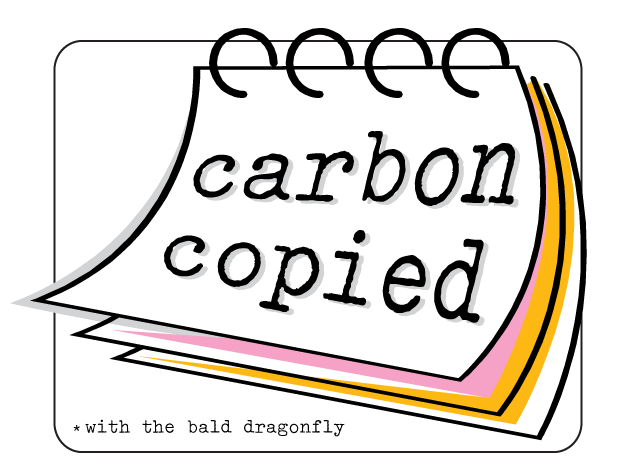 I'm here today with a Carbon Copied (same stamp set, same challenge, same day!) post with the fun and talented Kelly from Kelly's Place! I've followed Kelly for a long while, she has two boys as well and makes the cutest of cute cards with Lawn Fawn stamps, not to mention she is so incredibly nice. We are using the fresh and funky runway photo from Runway Inspired Challenge and Lawn Fawn's On The Mend set! So I was inspired by the chevrons, and the orange/gray combo. 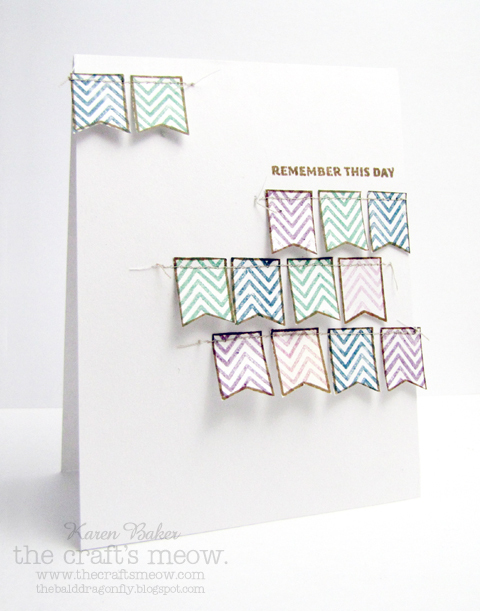 The chevron is from Lawn Fawn's petite Bright Side paper collection, a lot of fun! Instead of gold, I opted for a fun yellow hue. 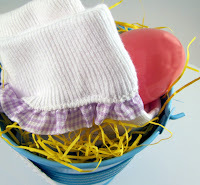 Please stop on over to Kelly's blog, because I'm sure she has something cute and fun to show you as well! Sometimes you've just got to go with the flow. What feels right? 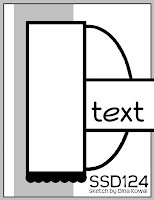 What is off? Have I accomplished my goal? Should I chuck it and start over? 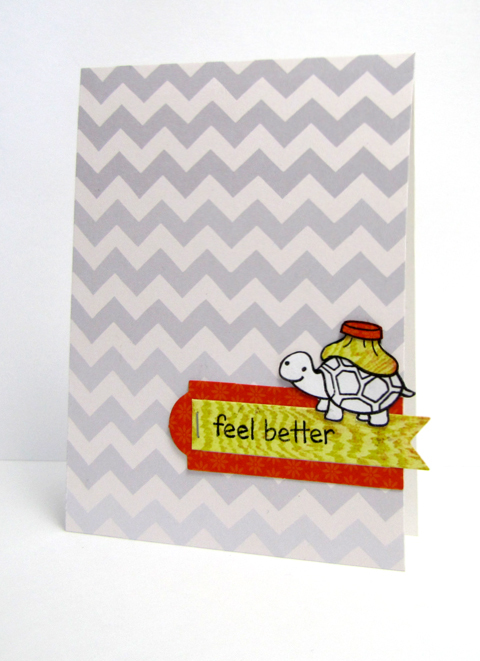 Such was the case with this week's card for the Skipping Stones Design Sketch Challenge. 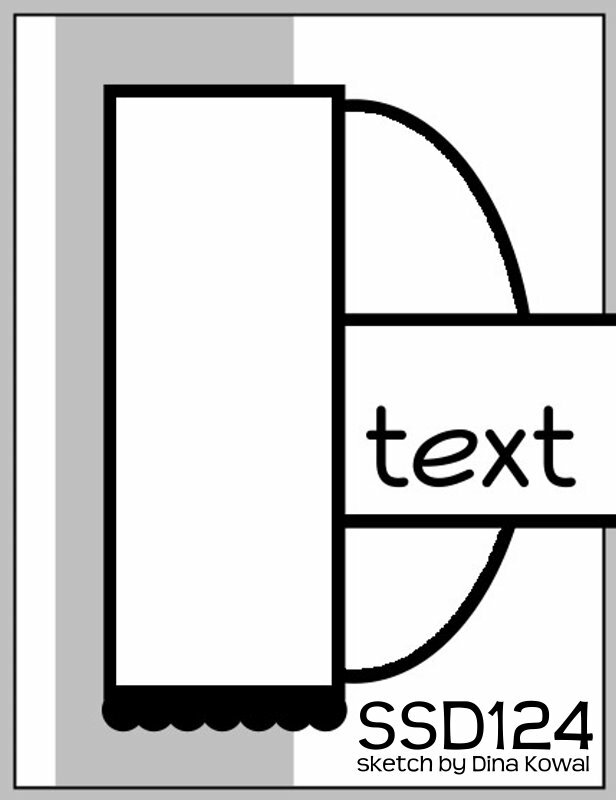 It wobbled to and fro for quite a while but I think I prefer the less complicated version above. Although this version fits the sketch better. 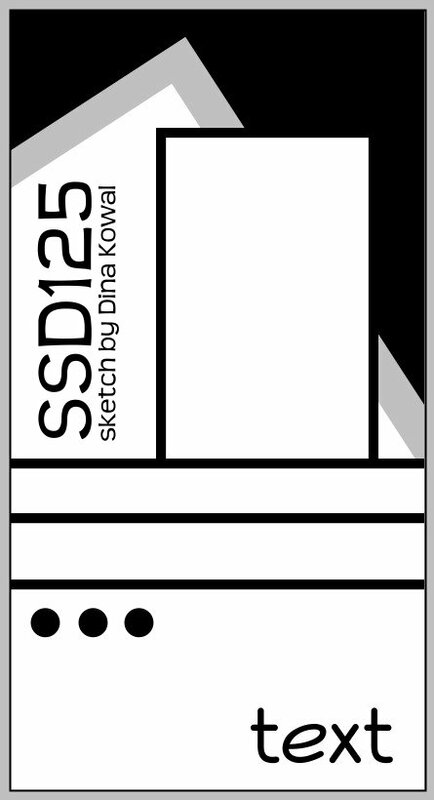 The sketch is a really great one, designed by Dina Kowal. 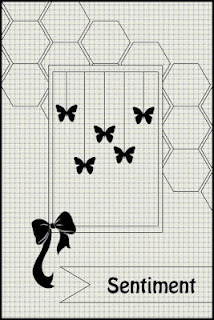 There is a prize up for grabs and to read more about the challenge and find tons of inspiration from the guest designers and design team members, please visit the Skipping Stones Design blog. 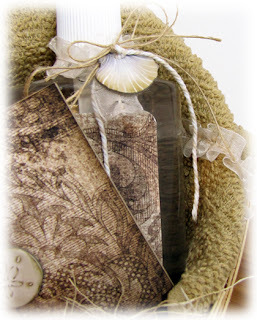 The sentiment and flowers come from Beautiful Botanicals set by Skipping Stones Design. I used the amazing, bright, bold colors available this week at The Play Date Cafe, as a sketch and color combination are the perfect combination. 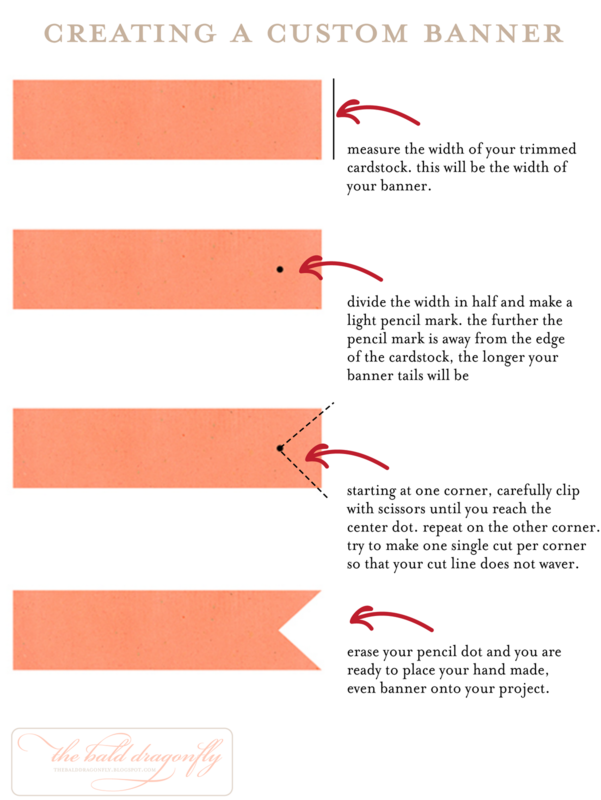 A few days back I had a tutorial over on the May Arts Blog. My talented mother helped me make some cute girl bobby socks to give as a gift! Simple and easy, my kind of project. For those crafty friends of mine with girls, this one is for you! 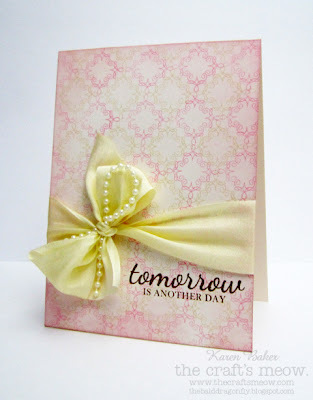 There's a delightful little hop happening today in celebration of Michele's birthday (the mastermind behind CAS-ual Fridays) where the Girl Fridays will be featuring clean and simple creations, of course! Michele, thank you for being the best "boss" that ever was, and I wish you only the happiest of days! I gathered inspiration from Lily Pad's Virginia View's Challenge #4. 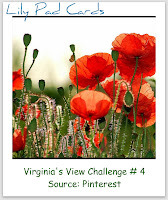 I so very much admired the transparent quality of the poppies in the photo, and how the red contrasts against the green. So...I grabbed some tissue paper, misted it with spray ink and then stamped and fussy cut some blossoms. Then, I adhered the blossoms to a white card base, being careful to overlap in choice areas to achieve some transparent petals. I'm the first stop and I'm going to send you on to Dana! The complete order is listed below. It's the day of new releases over at The Craft's Meow Blog and the designers and illustrators are here to celebrate with a blog hop! 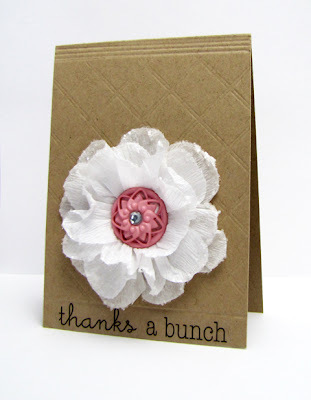 You should have arrived from my talented friend, Julie Ranae's blog. I wanted to share with you a different, modern take on Inspired by Audrey, my first stamp set design with The Craft's Meow! I stamped the pearl image repeatedly to make a background and then topped the card with one of the many sentiments included in the set. 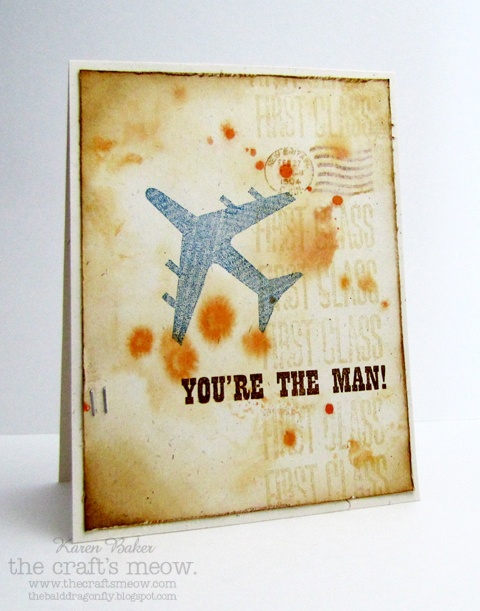 You could change up the colors and this would be a perfect masculine card too! Love the versatility in this set. I'd love to hear your thoughts on Inspired by Audrey! Your next stop along the hop is another talented friend, Lindsay Amrhein. Please be sure to leave comments along the way for your chance to win this month's entire release! The deadline to comment is 9:00pm PDT, Monday, April 23rd. 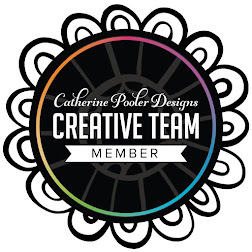 Blogger has been causing problems for some of our designers (like me today!) 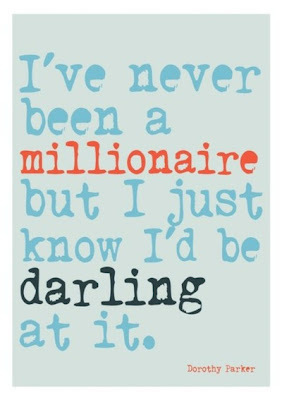 all week long so you may come across a few of our designer's blogs that do not appear updated with today's blog hop post. If that happens, please refer to the hop order at the end of my post or on The Craft's Meow Store Blog to continue on, but make sure you plan to check back on the other blogs because you'll need to leave a comment on each blog in order to win our BIG PRIZE! I attended high school and college in the sough and every other person and their sister would say "Bless Your Heart" for so many different reasons. Oh to see this stamped brings back so many memories. 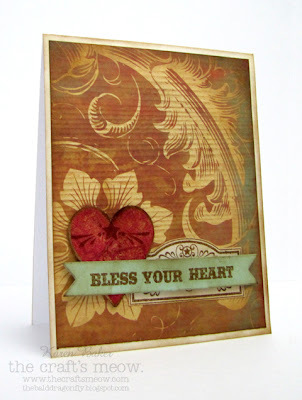 I paired the sentiment and a frame included in the set with a covered chipboard heart and rustic, western patterned paper. The Craft's Meow is releasing this month another fun set called Giddy Up! by NinaB for The Craft's Meow. 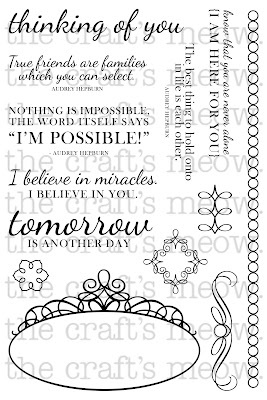 Lots of wonderful sentiments, some really awesome frames and a great image all in one set-it is a must have! Icing on the cake, Giddy Up! 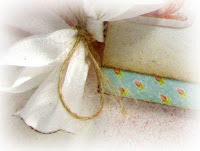 is The Craft's Meow's gift to YOU when you purchase $50 at the store during the month of April. Please stop on over at The Craft's Meow Blog to find see peeks of each designer's takes and links to their blogs. You can even win the sets revealed each day- details are on the The Craft's Meow Blog! 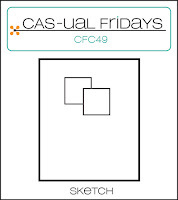 I've been quietly working with the fabulous Michele behind the scenes to bring her vision of a new look for CAS-ual Fridays to life and tonight it makes its debut! I'd love to know whatcha' think! 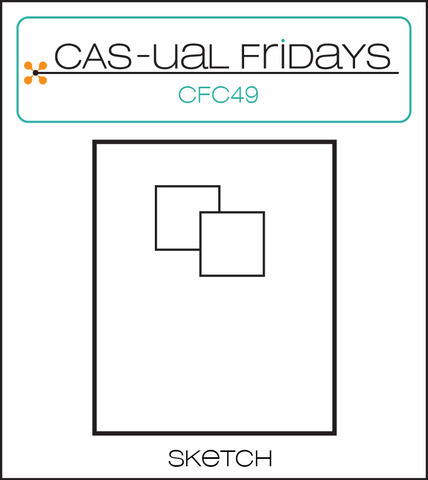 There's also a new CAS-ual Fridays Challenge up too! Speaking of which, it's a sketch challenge this week, and the sponsor is Gina K's Theresa Momber! I attempted *ahem* to channel the composed fabulous die cutting abilities and design work of Cristina, but I think next time I'll just leave it to the pro. 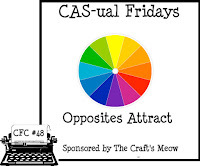 Tons of inspiration to be found over on the CAS-ual Fridays Blog, and as always, sponsorship information, details and challenge rules. 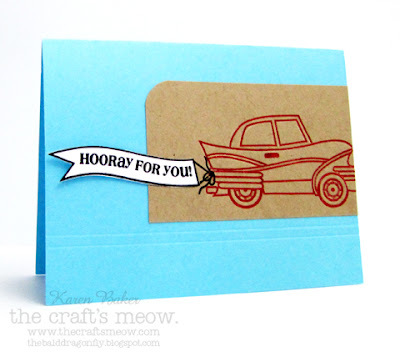 Thank you for all the kind words and encouragement yesterday as The Craft's Meow designers and myself introduced Inspired by Audrey, my first stamp set design with The Craft's Meow! 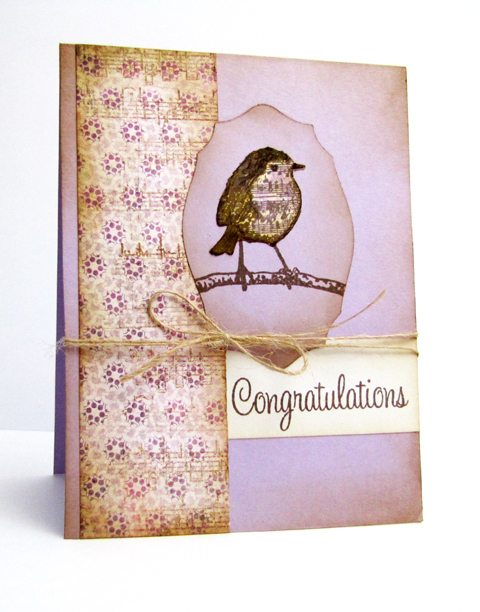 Today we are introducing Vintage Rides, by NinaB and Owl Journaling by Jenny Suchin Designs. 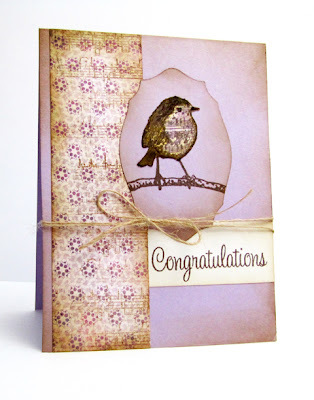 This card features just two stamps from Owl Journaling, I went a really clean and simple approached. The colors were derived from the current Embellish Color Challenge: Chevrons. Please stop on over at The Craft's Meow Blog to find see peeks of each designer's takes and links to their blogs. You can even win the sets revealed each day- details are on the The Craft's Meow Blog! This set has classic sentiments, background builders, flourishes, etc., all inspired by Audrey Hepburn and her classic, elegant style. I'm hoping that you will fall in love with this set as I have. 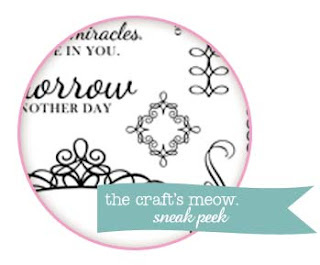 Please take a minute to visit The Craft's Meow today and click through the links, there is a ton of inspiration to be found featuring Inspired by Audrey from the designers and illustrators, including the talented guest designers Gini Cagle and Geri Freeman! You can even win this set today!- details are on the The Craft's Meow Blog! Today marks the introduction of two out of six releases from The Craft's Meow this month! Michelle Bertuzzi (Jiroken) has a beautiful stamp set entitled Nature's Beauty and Kaitlyn Ord has a really versatile travel set called Travel Time. There is a ton of inspiration to be found featuring these two new sets from the designers and illustrators, including the talented guest designers Gini Cagle and Geri Freeman! Please stop on over at The Craft's Meow Blog to find see peeks of each designer's takes and links to their blogs. You can even win the sets revealed each day- details are on the The Craft's Meow Blog! According to this site: "The first step to attracting birds in spring is to be an early bird. The first migrating birds may appear as early as February, long before the snow is gone and flowers are blooming. Birders who act early to attract these initial migrants will establish their yard as a healthy, suitable habitat, and many times the first migrants may stay nearby throughout the spring and summer." Hmm...I must not have a suitable habitat, we've not had too many birds lately. This week Skipping Stones Design has another versatile sketch for their challenge! There is a ton of inspiration to be found at the blog from samples from the design team and guest designers, as well as prize information and rules of the challenge. Go check it out! This week the designers are featuring Heartsong by Skipping Stones Design. 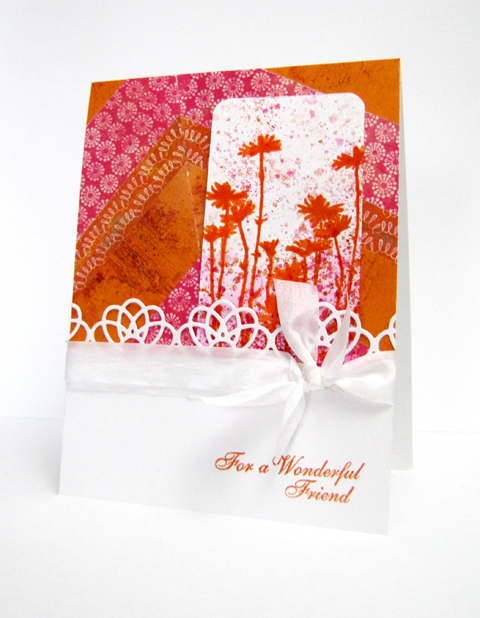 The Basic Grey Challenge Blog was calling to create a card featuring spring colors, and since I've been trying to use some more patterned papers on my card I pulled out the lovely spring purple pattern from Basic Grey's Kioshi collection to use as the starting color point for my card. 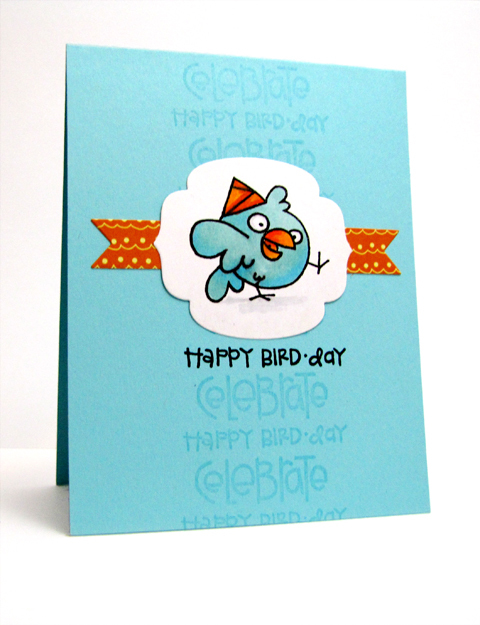 I don't often use purple, but I think the subtle inked edges and the lightly colored bird really softens up the card. Tomorrow marks the debut of my first stamp design with The Craft's Meow! I can't wait to show you what I created! The husband came home from a quick shopping expenditure with the boys at the local farm and fleet store (i.e. the Man's Mall). He asked, out of the blue, if I had teeny tiny clothespins. Why yes, I responded, why do you ask? He replied: Well, we saw some at Fleet Farm-they came in a bag of 200 or so-and I thought we should get you some. 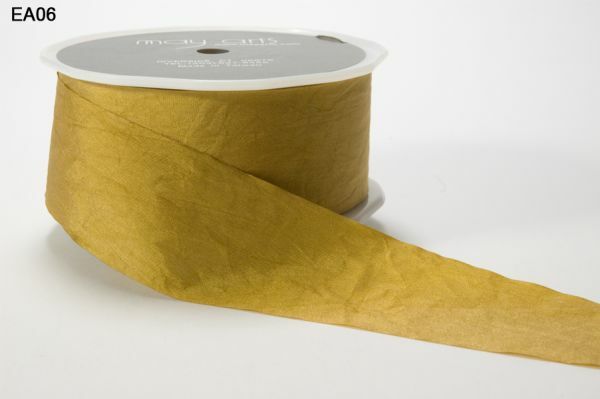 You know, to use with your crafty stuff. Then Chase said that wasn't a good idea because he was pretty sure you already had, like, two million of them. Geez thanks, Chase, for having my back. 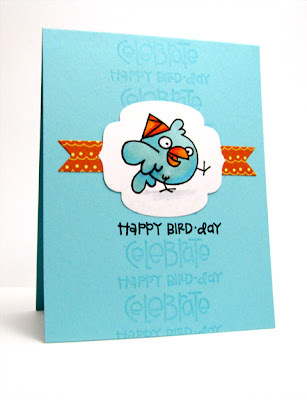 This card featuring a little cheeky bird was created for the Paper Smooches Sparks Challenge. I was drawn to the blue and orange color combination, and took inspiration from the row of tone on tone words, with a punch of color thrown in the mix. Our service men and women work hard, long hours to keep me and my family safe so the least I could do is create a little card that would put a smile on their face and might, just might make them laugh out loud. Operation Write Home is at it again, bringing encouragement to the the troops! 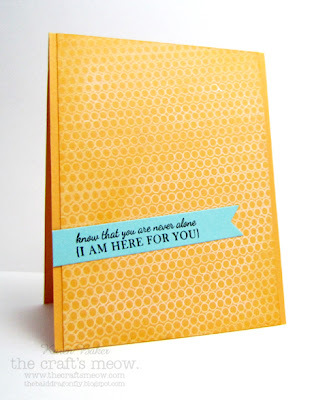 They are having a blog hop this weekend, with the the theme of Make Them Laugh! I'm proud to be a part of the May Arts Design Team, a company that supports our country and celebrates our nation’s deployed heroes through Operation Write Home! 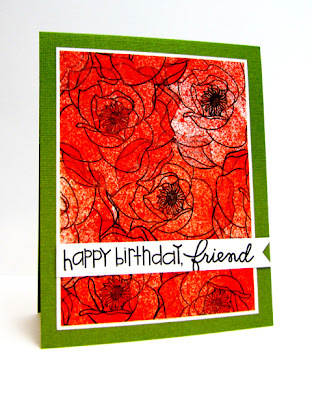 Although this card was featured over on The May Art's Blog, one of the stops and sponsors along the hop, I wanted to show it here today and spread the word about the hop. To make the grass I sewed three lengths of the beautiful May Arts solid, wrinkled chartreuse silk ribbon (EA06) to the card base along the bottom edge of the ribbon. I then snipped some fringes and separated the layers with my fingers. 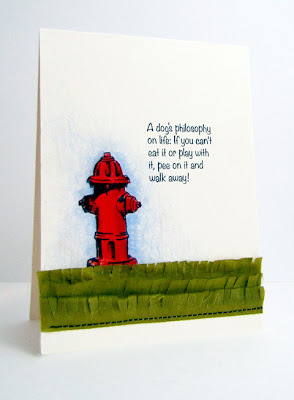 I love this stamp set from Skipping Stones Design too, Dogs Volume #1, its got a lot of humorous sentiments! Flowers are amazing little specimens. I marvel at how they slowly emerge from their green, tucked up cocoon and into beautiful array of colors...most often with a touch of surprise at the exact hue or shade their petals end up to be. I would think it is a bit like watching your children grow and develop into fine young adults. A new challenge is up over at CAS-ual Fridays and I except there will be some amazing entries! Create a clean and simple project featuring complimentary colors. Not only is the new challenge announced, but some new design team members and hints of changes are being introduced! 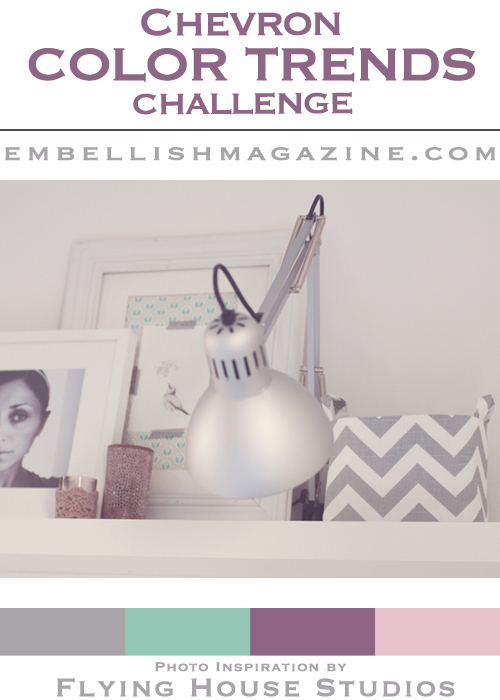 You can find out more details about the challenge, prize and read the rules on the blog. 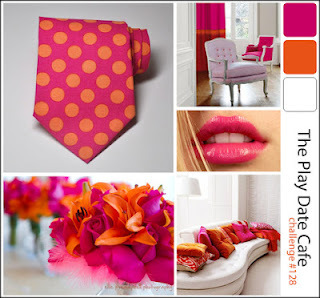 Plus, there is some fabulous inspiration from the current Girl Fridays! 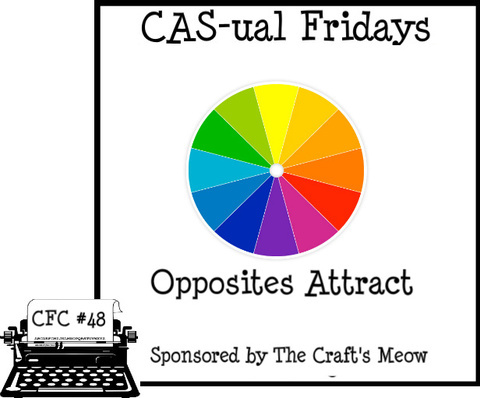 This week CAS-ual Fridays is sponsored by The Craft's Meow, a company now near and dear to my heart. 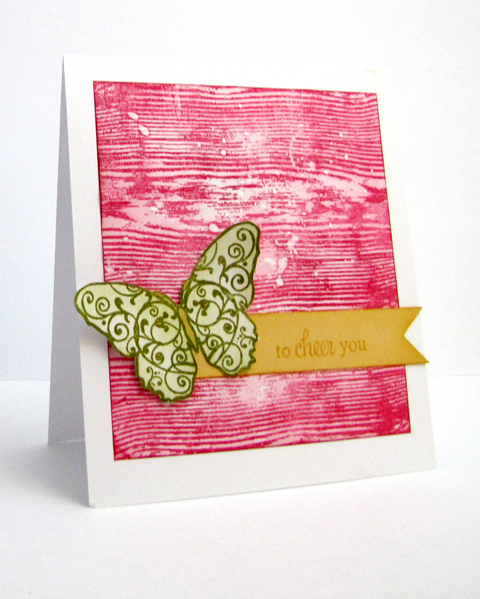 (Please watch for my first TCM stamp set debut on April 18th, so excited!) 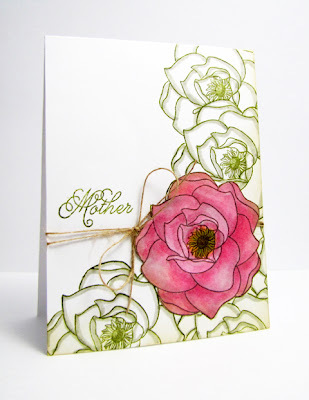 My card today features the ever so pretty stamp set, Beautiful Spring, with a sentiments from Mother and Father. I used the red/green complementary color combination, although I think it sounds more eloquent if I say I went with pink and chartreuse. My card features the versatile Grunge set from Skipping Stones Design as well as the beautiful Always Here. The radical color combination is from Kathy's Lily Pad Palette. I thought it would be fun to showcase the images and textures in some unusual colors! I used Lynn's sketch again from Retro Sketches! 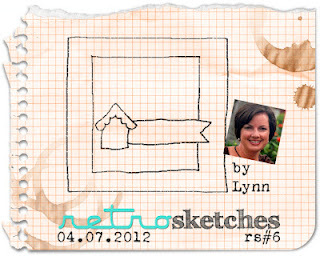 Great sketch, Lynn! Did you see too, that May Arts has teamed up with Creative Imaginations this week? Hop on over to comment for your chance to win May Arts and Creative Imaginations products... I also showcased a gift basket!